A rematch of the 2016 Class 4A boys state championship game caps the first metroPCS Battle on the Hardwood Classic Saturday night at the Centenary Gold Dome. The Bossier Bearkats will face the Washington-Marion Chargin’ Indians at 8:30. Bossier won 42-39 in March in Lake Charles. But before that, there will be plenty of basketball played in the three-day event, which begins Thursday at Fair Park, Huntington and Captain Shreve. Thirty-three boys and girls teams will be competing. There are 40 games scheduled over three days in the event, which is sponsored by the Shreveport-Bossier Sports Commission and takes the place of the Fair Park Thanksgiving Classic. The Bossier-Washington-Marion game is one of 10 scheduled for Saturday at the Centenary Gold Dome. Tickets are $10 and three-day tournament passes are $20 and can be purchased at each gym location. Fans can also stop by Shreveport-Bossier metroPCS locations and pick up a $2 off coupon (one coupon per paid admission). Bossier opens its season against the host Gators in the 8:30 nightcap Thursday at Captain Shreve. The Bearkats face Tyler (Texas) Robert E. Lee at 7 p.m. Friday at Huntington. The only other parish teams competing are the Bossier and Plain Dealing girls. The Lady Kats are playing just one game in the event againt Nacogdoches, Texas, at 5:40 p.m. Friday at Huntington. The Lady Lions play their first game against host Fair Park at 4:20 p.m. Friday. Plain Dealing faces Green Oaks at 10:15 a.m. Saturday at Fair Park. The girls field also includes three-time defending Class 2A state champion North Caddo, defending Class 1A state champ Arcadia, 2016 Class 5A semifinalist Natchitoches Central, 2016 Class 3A runner-up Parkview Baptist, 2016 Class 5A quarterfinalist Destrehan and 2016 Class 2A semifinalist Red River. Also playing is Dallas Lincoln, which reached the Texas Class 4A Region 2 championship game last season. Natchitoches Central plays Parkview Baptist at 7 p.m. Friday at Captain Shreve. North Caddo and Arcadia face off at 5:50 p.m. Saturday at the Gold Dome. Natchitoches Central takes on Destrehan at 11:30 a.m. Saturday at the Gold Dome in a rematch of last season’s Class 5A quarterfinals won by the Lady Chiefs 77-67. 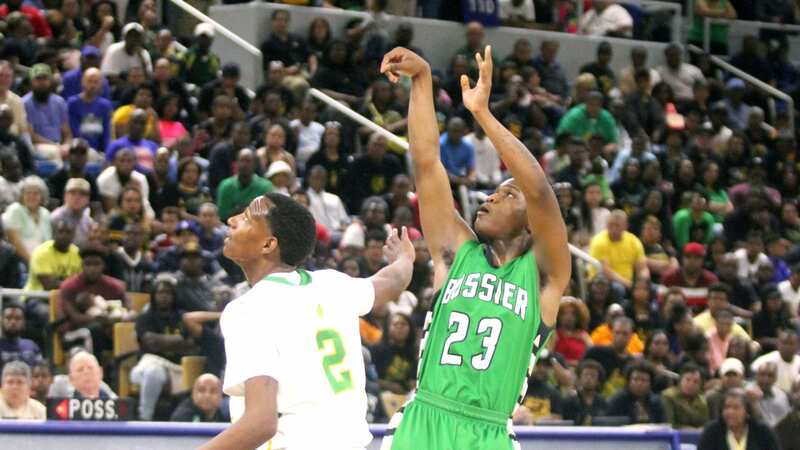 Several of the same players who were in the Class 4A boys title game last year will be on the floor when Bossier takes on Washington-Marion Saturday night. The Chargin’ Indians return 6-foot-3 senior Christian Edwards, who led the team in scoring last season at 15.6 points per game. Also back are 5-10 De’Vantre Vitor (12.9 ppg), 6-1 Demarcus Vital (8 ppg) and 6-0 Cody Stansberry. Bossier returnees include 6-4 senior Antonio “Rudy” Davis, 6-6 Chris senior Chris Davenport, 6-1 senior guard Tyrese English, 6-4 senior TyBo Wimberly, 5-8 freshman Jacoby Decker and 6-2 senior Abarreion Johnson. Washington-Marion is also playing Class 4A quarterfinalist Fair Park Friday and Tyler, Texas, John Tyler Saturday. The boys field also includes Pro-Vision Academy of Houston. The Warriors defeated Washington-Marion Tuesday night 77-71 in Lake Charles. Pro-Vision won its first two games 94-54 and 127-48.